$10 Instant Savings - TubeTracker PRO! NEW Stronger & Longer 80" Aluminum Paddle! Est. delivery 4-6 business days throughout North America. 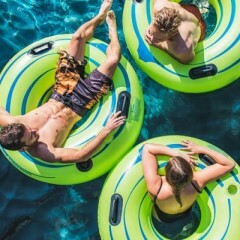 SHOP NOW - Click to Buy the best quality River Tubes & Floats! Tube Pro heavy-duty PVC tubes, rubber river tubes and covers are designed specifically to endure commercial river tubing applications. Tube Pro Waterpark tubes, rafts and mat racers are designed specifically for commercial applications. Tube Pro snow tubes are designed specifically for commercial resort tubing applications. Tube Pro pads & covers are designed specifically for outdoor commercial applications; with waterproof foam, industrial buckles & heavy-duty vinyl materials. Commercial quality Vinyl float tubes and covers, available to purchase for personal use. Attention! River Operators, contact Tube Pro directly for quantity pricing. Individuals - click to BUY NOW! Commercial quality rubber river tubes and covers, available to purchase for personal use. Attention! River Operators, contact Tube Pro directly for quantity pricing. Resort quality snow tubes available to purchase for personal use. Attention! Ski Hill Operators, contact Tube Pro directly for quantity pricing. Polo Sport by Tube Pro - quality water polo inner tubes designed for varsity level game application.